The Paso Robles Inn is the perfect blend of relaxation- dining- hot springs- beautiful historic event spaces- romance and indulgence - all nestled in paso robles wine country. Boasting the best location compared to other hotels in paso robles- the paso robles inn is still the only paso robles hotel offering its guests the healing powers of thermal waters with private hot spring tubs in its deluxe mineral spa rooms. Its across from the downtown park- less than a 5 minute walk to wine tasting- olive tasting- restaurants- wine bars and lounges- boutique shops and more. Offering 98 guest rooms some rooms with private mineral springs hot tubs in the room. Deluxe two-room suites with private mineral springs hot tubs available also. Lush gardens with live koi ponds running streams and majestic oak trees create a peaceful setting for a relaxing retreat. Artisan: Seasonal Menu Offered American Bistro Style Restaurant. Centrally Located Downtown Paso Robles Across From The City Park. 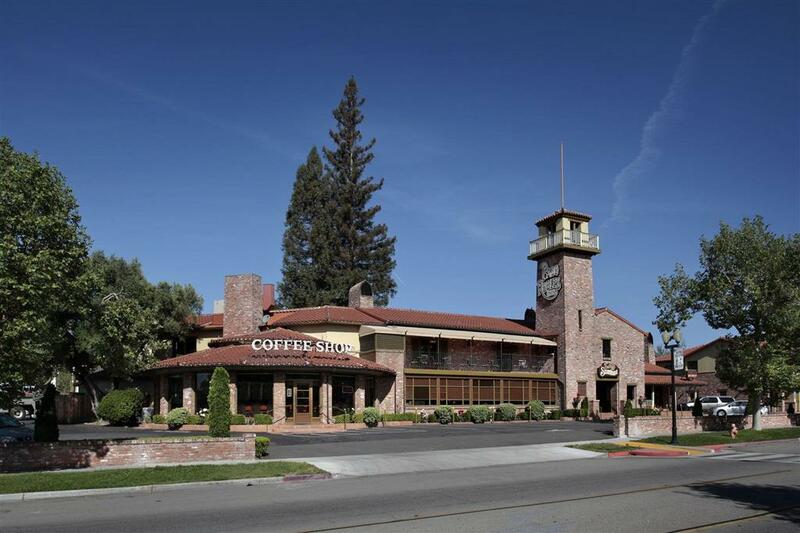 Paso Robles Inn Is Wihtin Walking Distance To Winereies Restaurants And Boutiques.